“Are you lonesome tonight?”. So went the lyrics to that old crooners’ ditty from the pre-rock era. In fact, loneliness has been a subject for poets and songwriters since time immemorial. Frank Sinatra even recorded a concept album entirely devoted to songs of sorrowful isolation, Songs For Only The Lonely, in 1958. And who among us, especially during adolescence, hasn’t romanticised the ancient predicament of feeling alone and cut off from the rest of humanity? It almost made it feel good. 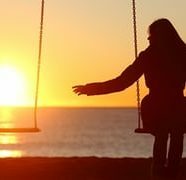 But now it’s time to revise those old ideas because in recent months there’s been a flurry of articles claiming that not only does loneliness have negative effects on our psychological health, it’s also linked to physical deterioration. And loneliness is so prevalent, particularly among the more mature members of society that it’s now spoken of as an ‘epidemic’. Of course, gay massage brings you into direct contact with another human being and can alleviate loneliness to a considerable extent. But it’s not a replacement for having a network of friends and family members. For those of us fortunate enough to have those things, it can be easy to take them for granted. It’s hard to imagine that people can be walking through life completely alone. Some may have grown up in the care system and never had the benefits of a family. Others may have simply outlived theirs. And then there are people whose families have been fractured by disagreement or scandal, with no likelihood of a rapprochement in sight. What has Britain done to combat loneliness? Some people point to the increasingly disconnected way we live our lives, in this era of smart-phones and social media. But in many ways both those things are actually lifelines for the lonely, enabling them to be in touch with people across whole continents and oceans. If anything, it’s those who’ve allowed the digital age to pass them by who are in danger of being disconnected – the elderly man or woman who’s never been online and doesn’t have a computer. But however the disconnectedness has occurred, the fact is that it can have devastating impacts and consequences. Fortunately, the Jo Cox Commission On Loneliness (formed in memory of the UK MP) has drawn up a report on the issue. This, in turn, has prompted the Prime Minister to appoint a Minister For Loneliness. It sounds absurd, but all the evidence points to it being necessary. Loneliness has morphed from being merely a personal circumstance to a widespread societal affliction and action is needed. Part of the problem is that people feel demeaned by their own loneliness and are therefore reluctant not only to admit it but also to seek a remedy for it. There’s huge pressure on many of us to pretend to be happier than we are. Loneliness has been estimated to be as bad for physical health as a 15-a-day smoking habit. It’s been said to be several times more dangerous for health than air pollution. The human body is believed to be wired to experience loneliness as a mortal threat and this can lead to increased inflammation. In turn, this inflammation increases the likelihood of atherosclerosis, cancer and other afflictions. It’s time to act to help not only ourselves but our neighbours, family members and friends. Gay massage London is an excellent starting point.